Last year, Karmelle was approached by award-winning North Yorkshire distillery, Masons. 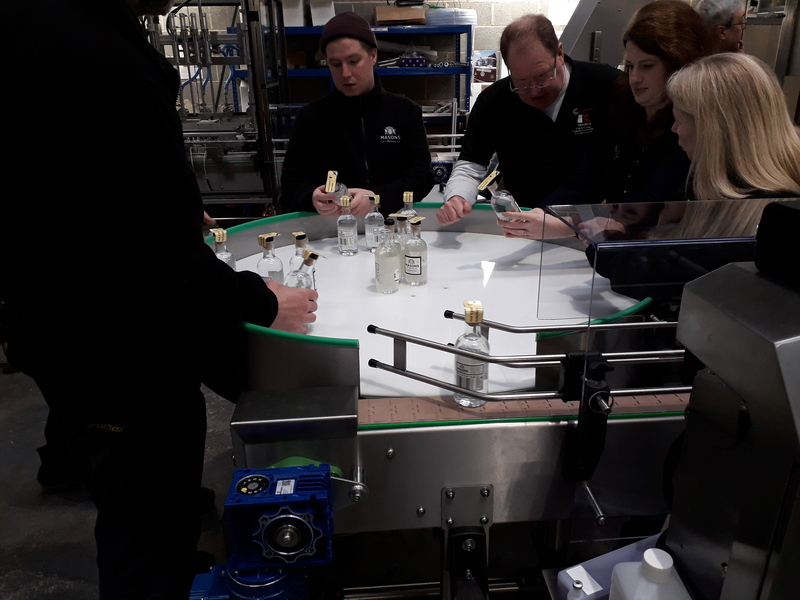 With demand for its gin growing, the brand needed a more efficient filling, capping and labelling system – and asked if we could help. Masons’ filler, capper and labeller in build. 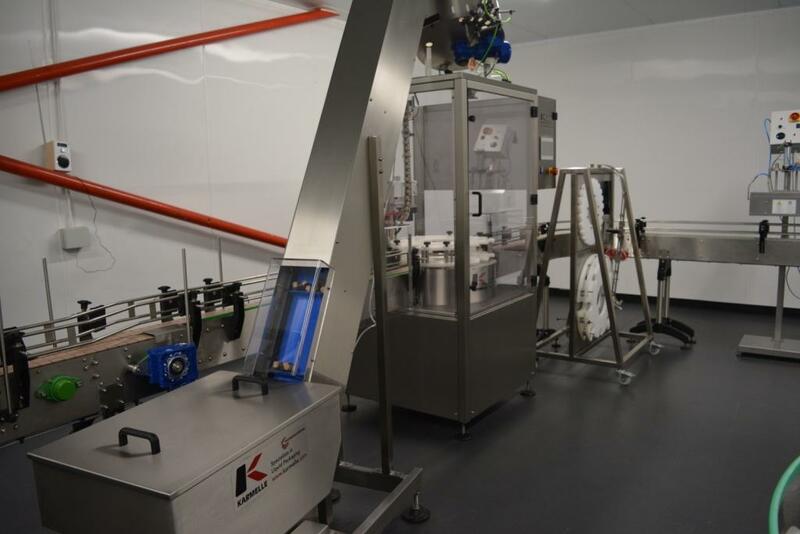 Brian and his technical team gladly accepted the challenge, designing a complete filling line that would enable Masons to up production rates without compromising the quality of its premium product. 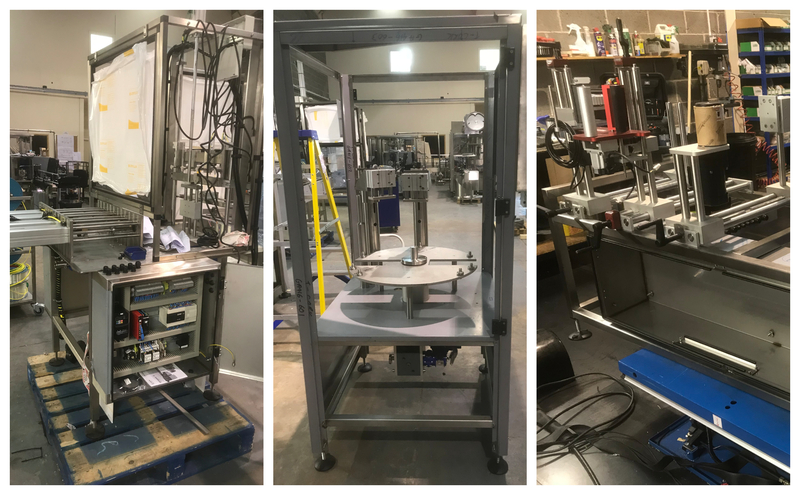 The custom line comprised a 4 head filler, T cork capper, and 3-point wraparound labeller. Each machine was designed with Masons’ unique requirements in mind – and, for its team, consistency and accuracy were of paramount importance. 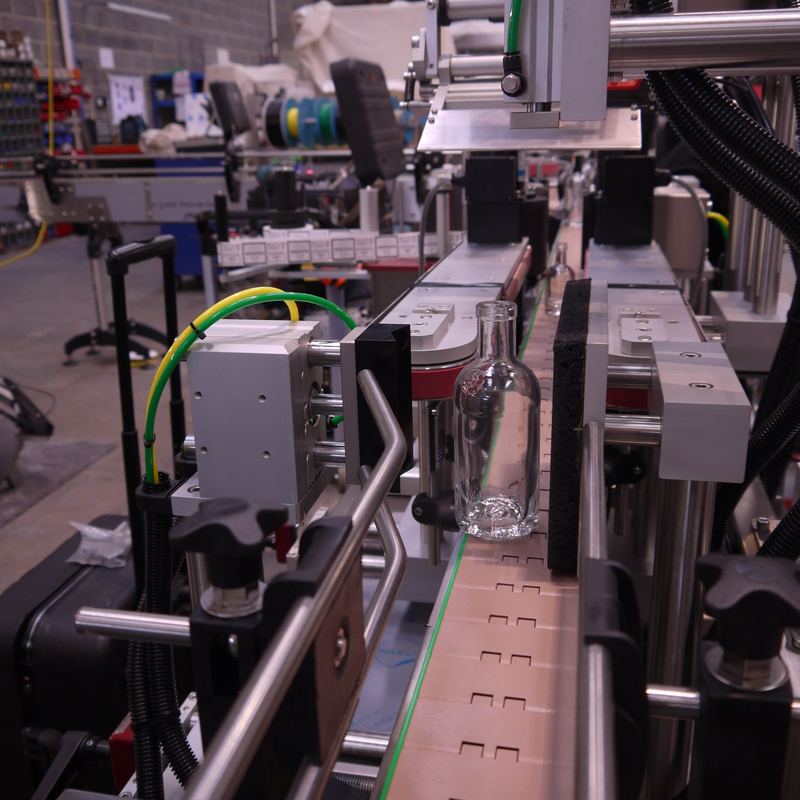 The labeller would need to achieve particularly high levels of accuracy, applying front, back and security watch strap labels to Mason’s bespoke glass bottles. Labelling specialist Grahame was able to use a marker on their base for registration, ensuring that labels were in line with the distinctive ‘Yorkshire rose’ emblem. Masons’ gin bottle on the incomplete line. The line was manufactured and assembled onsite, while Masons prepared a custom-built filling room to house it. 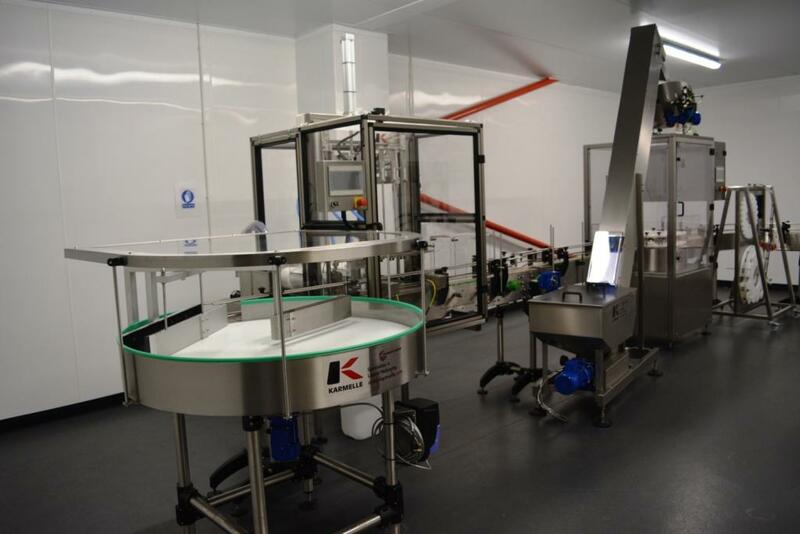 The complete filling line in build. Masons’ gin filling equipment in the workshop. 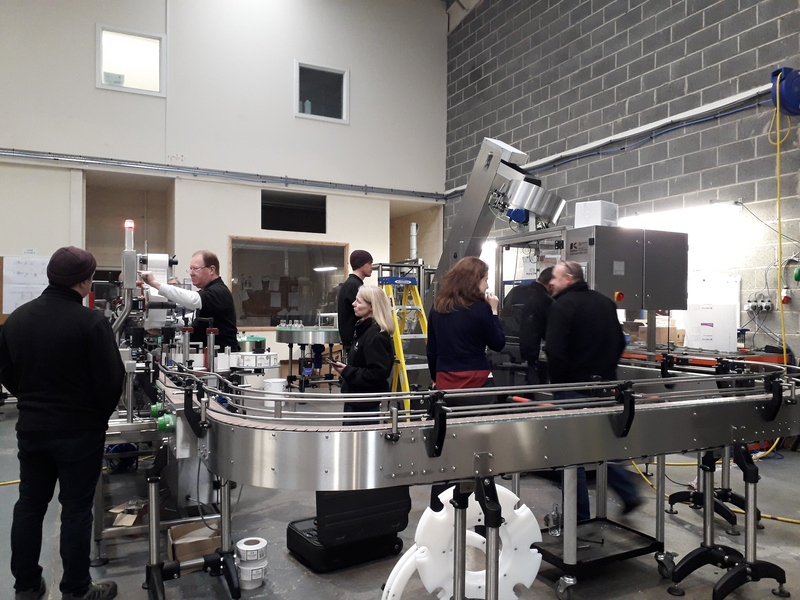 In April, the Masons team – including managing director Karl, assistant business development manager Sam and warehouse and operations manager Harry – visited our West Yorkshire workshop to watch an initial round of trials. 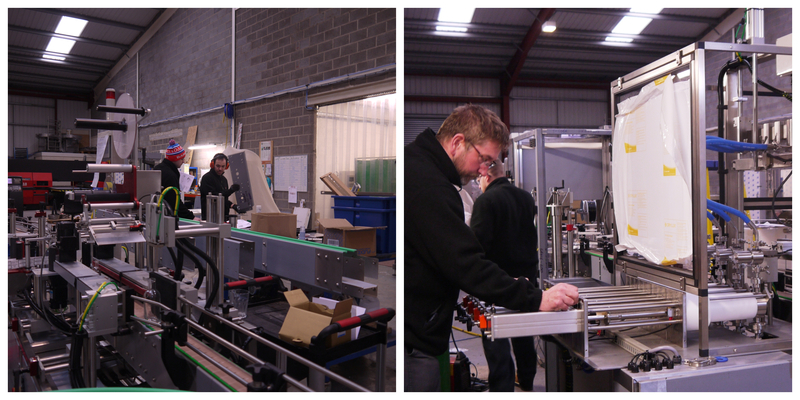 And, after some final adjustments, the complete filling line was ready to be delivered. The gin filling line is tested. 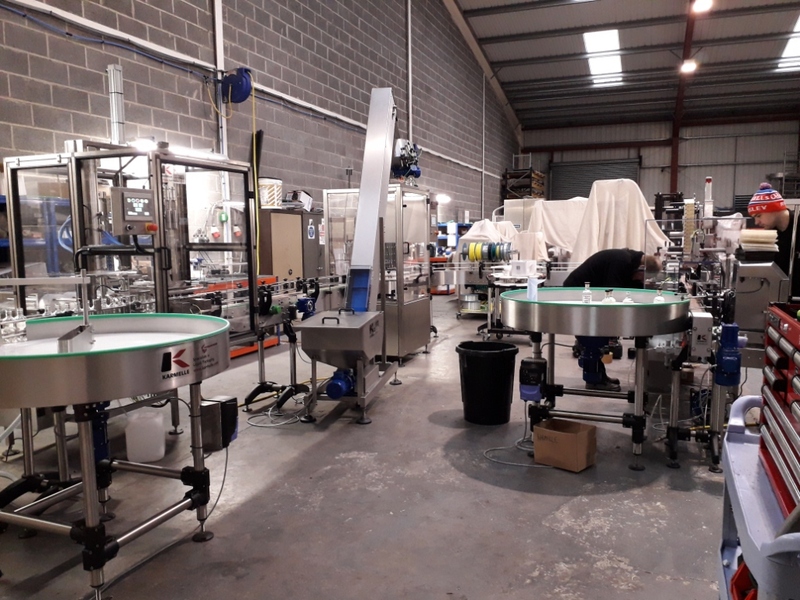 Simon, Grahame and our engineers installed the system at Masons’ Bedale distillery, before providing training for its staff – who are now able to fill, cap and label in an hour what they were previously producing in a full working day. 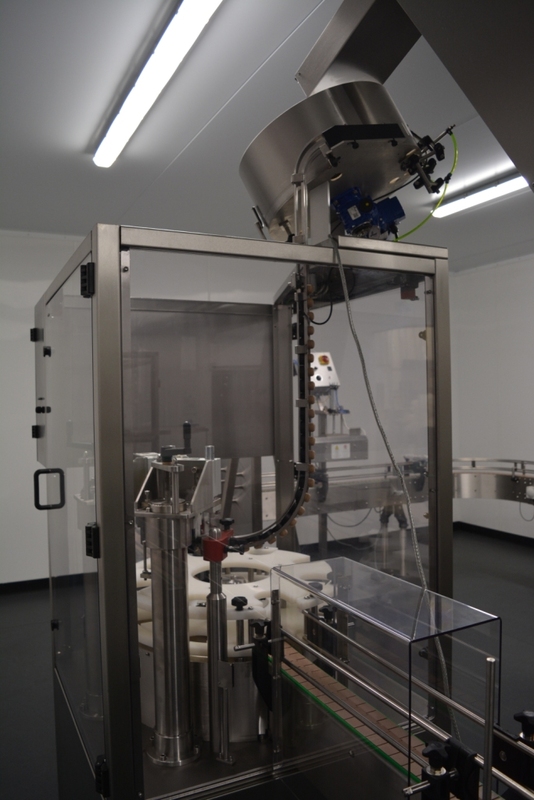 The turnkey gin bottling system, installed in Masons’ filling room. The filling line, ready to run. 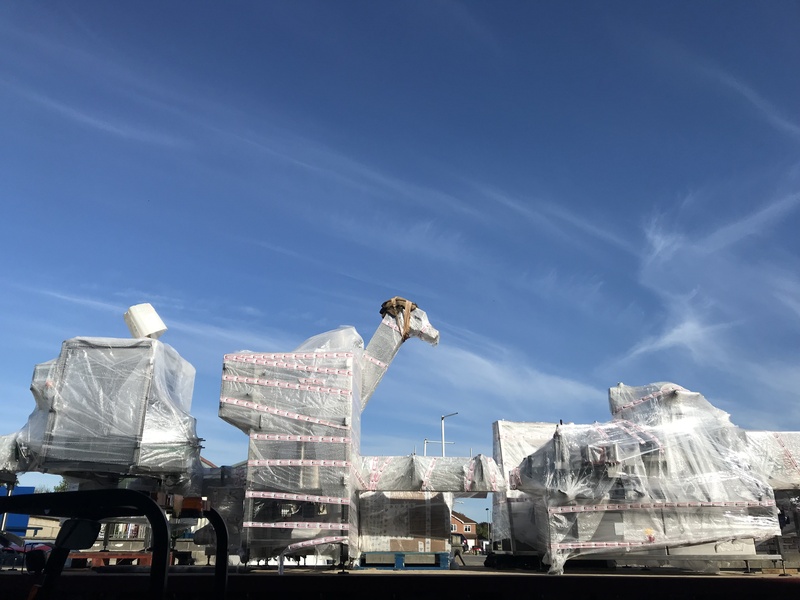 We hope that, with the help of its new equipment, this innovative Yorkshire distillery will continue to thrive! To learn more about our complete turnkey systems, call 01484 533356.